Orvis Sandanona is a place where the traditions of the field and the hunt are held in the highest regard and is the oldest permitted shotgun shooting club in the country. The main lodge was built during the presidency of Thomas Jefferson, and, using its richly textured past as a foundation, Orvis Sandanona has built a thriving, modern sporting-clays shooting ground that is consistently ranked among the very best in the nation. 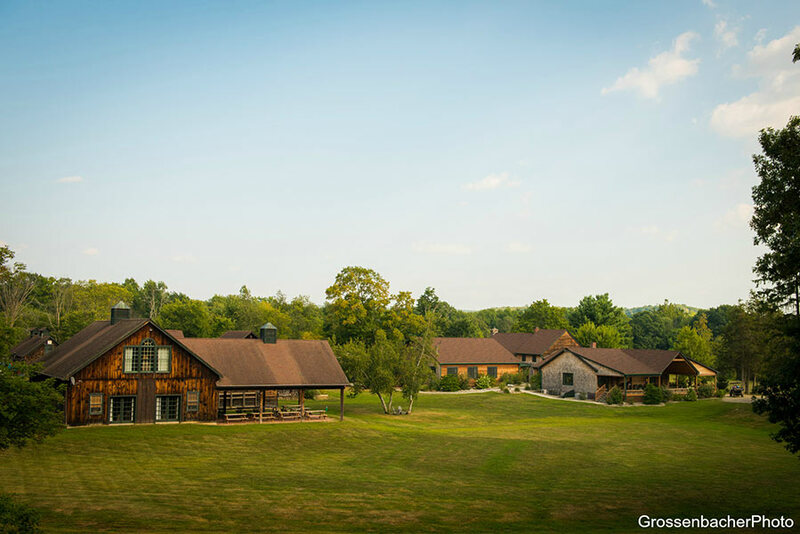 Orvis Fly-Fishing and Wingshooting Schools and a fully-catered lodge facility that includes ample meeting space create a benchmark experience for both corporate recreation and individual sporting pursuits. Sandanona is open 363 days a year. Orvis Sandanona features a comprehensive Fly-Fishing School program based on the highly successful lesson format developed and refined over fifty years at our Vermont headquarters. Expert Orvis fishing instructors will teach you multiple fly casting techniques, the essential fishing knots, equipment basics, and enough about freshwater entomology to make fly selection an easy, intuitive process. With two private ponds and a trout stream right on the property, small class sizes ensure quality personalized instruction for our students. At the conclusion of the program you will be able to fly cast with authority and fish confidently. The fly fishing school tuition includes instruction, lunches, textbook, and use of Orvis tackle. The Orvis Shotgun Shooting Schools were the first of their kind offered in the United States, and for over twenty-five years have offered shooters the finest wingshooting and hunting instruction available anywhere in the world. Based on the English Churchill method, our instinctive approach to shotgunning offers both the novice and the seasoned veteran a complete shooting system that can be used for upland and waterfowl hunting and sporting clays. The fundamentals of the Orvis system include stance, footwork, gun handling, swing, visual concentration, proper gun mount, and correct fit of the gun stock. 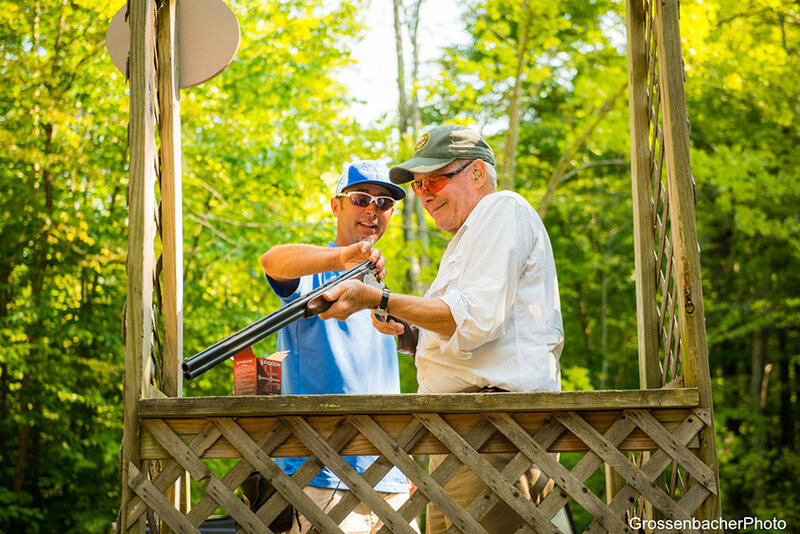 The Orvis shotgun shooting instructors are consummate professionals who are beside you at every shot quietly analyzing and improving your style. Must be at least 12 years old to participate. Sporting clays is one of the fastest growing sports in the country. 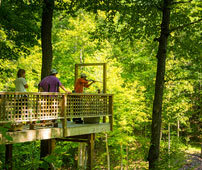 In fact, Orvis was responsible for introducing one of the first prototype sporting clays shooting courses at its shooting school in Manchester, Vermont. The Sandanona shotgun course is recognized worldwide as one of the best and also was a leader in the development of sporting clays in this country. It was listed in Esquire magazine’s top 10 list of courses in the United States. The 20-stand sporting clays course has been the site of numerous prestigious championships and the diversity of the course offers shooters an ever-changing challenge in shooting. Shooting hours are between 9 am & 5 pm. Minimum reservation is for two people (single shooters MUST shoot a double round). In most cases the maximum number of people in one group is 5. Groups larger than 5 will be split into groups accordingly. 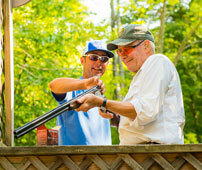 Non-shooting observers are welcome, but we do not allow persons unattended on the sporting clays course. 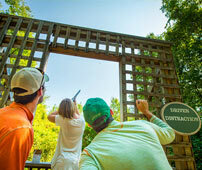 Children must be attended at all times, both on the sporting clays course and in the clubhouse. If you and your clients desire to take a step back in time, relax, and find yourself among the most beautiful scenery in the northeast, visit us at Orvis Sandanona. 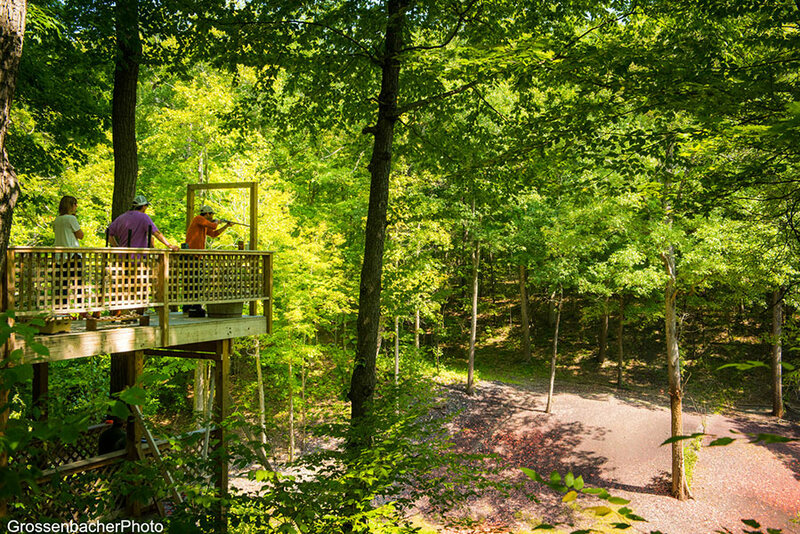 Orvis Sandanona provides the ideal outdoor environment for corporate recreation. In fact many top firms have made Sandanona their first choice when they are looking to conduct team-building exercises, bolster morale, and enjoy a respite from the office. We furnish the amenities that will ensure your time at Sandanona is productive and memorable. Our customized corporate retreat packages include sporting clays events, fly fishing and wingshooting instruction, as well as professional catering. Experience the rustic charm and unique sporting ambiance only Orvis can offer by selecting Sandanona for your next corporate outing. 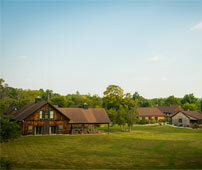 Orvis Sandanona now has 2 additional meeting rooms in our barn annex, just a stone’s throw away from the main lodge. The rooms have the capacity to hold 120 people on the main floor and 60 people upstairs. After your group has enjoyed a day shooting or fly-casting you can come inside the barn annex for meetings, seminars, luncheons or dinner, all the while enjoying Sandanona’s rustic charms. If you cannot make one of our fly fishing or shotgun shooting school dates or want a refresher after a school, or if you need to warm up for that trip to England shooting high pheasants, or that trip to the Gunnison in Colorado casting for trout; our school instructors are available for Private Instruction all year round. Must be at least 12 years old to participate in a shooting school. Orvis Sandanona's highly trained instructional fly fishing and wingshooting staff can help you at any experience level, from the novice to the pro. Call 845-677-9701 to make reservations. Minimum of 2 hours, maximum of 2 clients - $125.00/hr. Custom days may be designed for your needs. Please call with questions or to make your reservation: 845-677-9701 or email sandanona@orvis.com. The most exclusive venue offered at Sandanona, is by private membership. Sandanona has traditionally been dedicated to upland bird hunting. Orvis Sandanona is reminiscent of a turn of the century hunting club, recalling a bygone era when game was plentiful, hunting seasons long and bag limits generous. Our extensive facilities include 4 upland fields for hunting pheasants, chukar, and hungarian partridge, an exceptional beaver dam duck hunting area, and a most unique continental hunting area. The preserve hunting season runs September 1 to March 31. Make an appointment to tour the gun club. We are sure it will meet your most impressive standards. 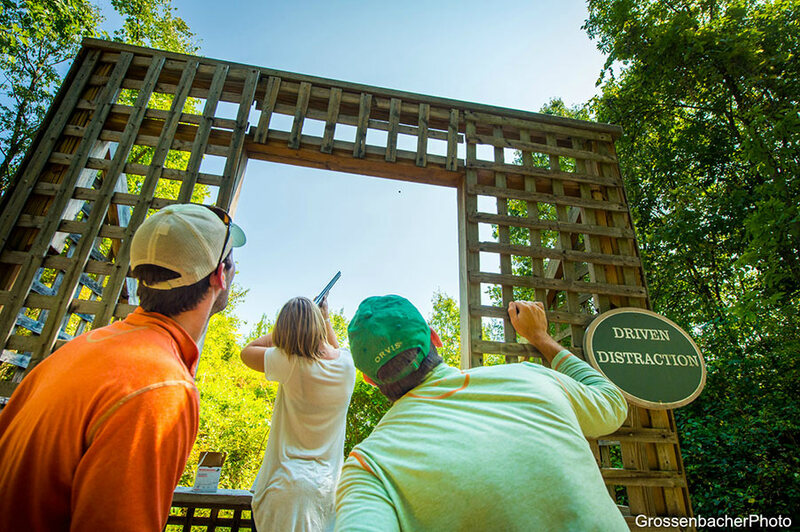 *Please note that our sporting clays, schools, and pro shop are open to the public. Millbrook, NY 12545 as your destination. This is correct. 3047 Sharon Turnpike, Millbrook, NY 12545 is the shipping address for Orvis Sandanona. Orvis Sandanona is an Orvis Endorsed fly fishing outfitter and has a full service pro shop on premise. We are set amidst the rolling hills and horse farms just an hour and half from New York City, and are steeped in the tradition of fly-fishing. Whether its wading for Brookies and Rainbows during the early season Hendrickson hatch or float tubing for big Browns late season, our professional fly fishing guides can tailor the day to meet your needs. Just minutes away from casting in classic eastern trout waters like the Roleliff Jansen Kill, Wappingers, or Housatonic. Take advantage of Orvis Fly fishing school instructors available for individual or group lessons on our stocked ponds or private trout stream. An experience for all ability levels.